The town of Kumano in Hiroshima Prefecture is surrounded by mountains in every direction, and has been the producer of Kumano brushes for over 180 years. Even today, about 10 percent of Kumano’s population is involved in brush production, making the town the largest producer of calligraphy and artist’s brushes—as well as makeup brushes—in Japan. Kumano produces an especially high-quality series of makeup brushes that are said to transform makeup application and finish with just one bristle, and for this reason are adored by makeup artists both inside and outside of Japan. Hairs and bristles are specially chosen for the specific use of each brush, all skillfully adjusted for softness and flexibility. This diligent handcrafting is done one bristle at a time, which is evident in the exquisiteness of the final product. 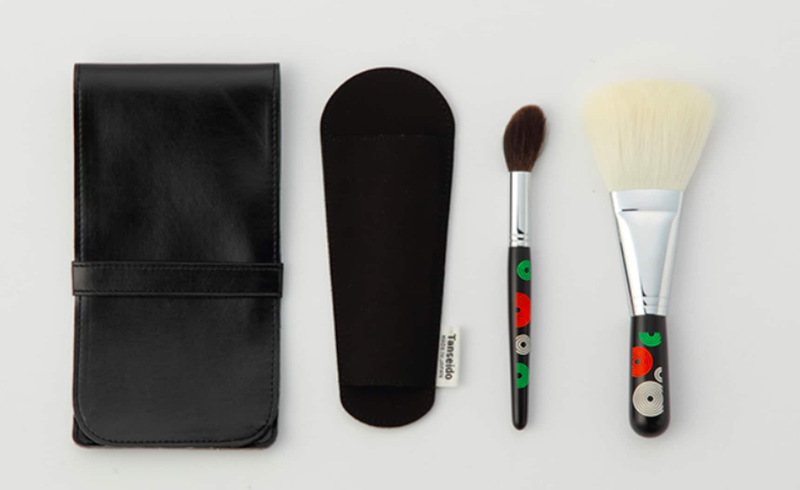 This particular wafu keshoufude (Japanese-style makeup brush) set includes a lip brush, shadow brushes (small and large) and a face brush. Because they're created using a unique method that doesn't cut the ends of the hairs, the amazing touch of Kumano brush tips on the skin and the finish they create on the face are a difference you can actually feel. 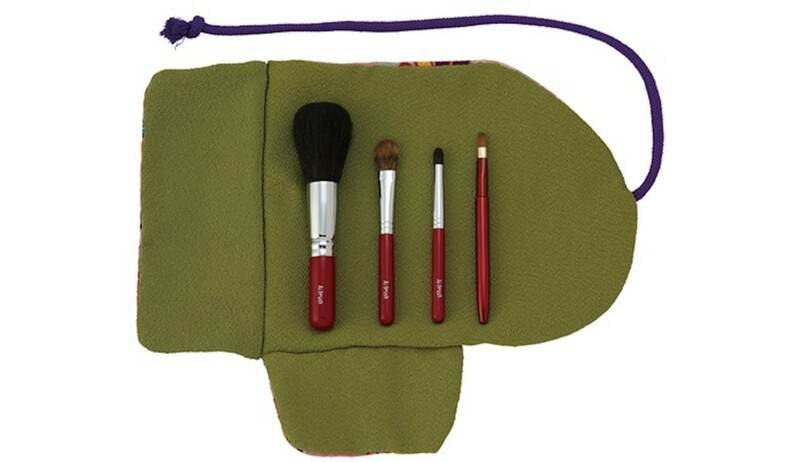 This set also comes with a kimono cloth brush case. This is another brush from Kumano, which produces approximately 80 percent of all the brushes in Japan. The soft, fine quality of the gray squirrel fur used for the Z Series Z-9 Powder Brush was once considered unsuitable for brushes, but repeated research has enabled the softness and cling-to-the-skin texture to be leveraged to perfect this makeup brush. Only fur from the gray squirrel that is particularly long and supple is carefully selected. The focus is placed on creating a brush that's pleasant to use by finding a good balance between hair volume and density. The ends of the hairs are never cut, so the brush has a delicate touch and feels gentle on the skin. The craftsmanship can be keenly appreciated after makeup is applied, and the finished product is evidence of the workmanship and brush-making tradition that have been handed down in Kumano. Based in Kumano, the highly skilled artisans of Tanseido Co. have crafted cosmetic brushes with tips so thin that they can write on a grain of rice, as well as brushes that blend and arrange two colors of bristles to form a legible character on the tip. While most Japanese brush makers complete their products with imported components, even the handles and metal parts of Tanseido brushes are entirely handmade in Japan. A relentless pursuit of the highest quality has resulted in a product that's durable enough to be used for over 10 years. With their dreamy softness to caress human skin, these Tanseido brushes can be used for any kind of cosmetics. This is one reason that these brushes are now even garnering recognition at makeup beauty shows overseas.